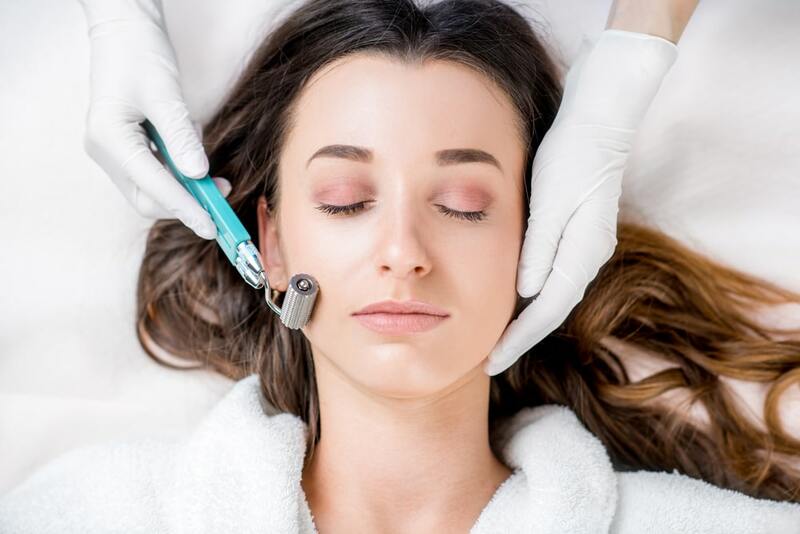 Skin needling treatment, also known as “Collagen Induction Therapy,” uses a special micro needling device to create micro “punctures,” pricking the skin repeatedly with extremely small, sterile needles. These tiny punctures that the needles create, in turn, help to spur healthy collagen production, particularly when used with PRP-derived growth factors. Skin needling is available at laser clinics and skin treatment clinics all around Australia. But is it right for you? We think so – and in this article, we’ll discuss the reasons why it should be your next treatment. Let’s get started now! With microneedling, there is no need to prepare your skin in the weeks prior to treatment, and the procedure itself does not take long at all. Typically, it takes about 30 minutes – and you can get back to your day-to-day life immediately after your treatment. After your face has been numbed with a topical anesthetic, your treatment professional will begin the process, using a medical-grade microneedling device, and focusing on the areas of your skin with blemishes, imperfections, and other aesthetic issues. Then, after just half an hour, you’re all done! It’s really just that simple. You can have multiple treatments done, to further reduce the appearance of blemishes like acne scars, stretch marks, and more. During the skin needling process, the affected area will be rubbed with a local anesthetic about 30 minutes before the procedure begins. This helps ensure that you will feel absolutely no pain or discomfort. The process of skin needling feels like a slight vibration across your skin, almost like a massage, with some slight tingling. It may seem hard to believe that skin needling doesn’t hurt, given that so many tiny needles are puncturing your skin, but it’s true! The needles are so small that they barely register with your nerves, and they only pierce about 0.5mm into your skin. Skin needling therapy treatments can be used for just about any skin type, and results are often visible in as little as 24 hours – so you can quickly see the results of your treatment. After treatment, you may expect some swelling and redness, which will subside within 1-2 days. You may also notice some extremely tiny scabs for up to 7 days after your treatment. Do not touch or exfoliate them – they will naturally slough off when your skin has healed. Beyond that, simply avoid working out, massages, hot showers, and sun exposure for about 48 hours, avoid shaving for 1-2 days post-treatment. After this, you should protect yourself from UV rays with sunscreen for 1-2 weeks post-treatment. In addition, after your first day of recovery, you can use skin cream to help treat any itching or dryness in your skin, and begin wearing makeup again. Come To Mouda Laser & Skin Clinic For Skin Needling Today! We use advanced, sophisticated skin needling and microneedling devices, and our experienced beauty technicians can ensure that you get the best possible results from your treatment. To learn more and get started, please give us a call at (02) 9636 3123 for more details. Got more questions? Not sure if skin needling is right for you? You can schedule an in-person consultation with one of our beauty specialists, so that you can learn everything there is to know about this procedure – and how it can help rejuvenate and restore your skin.